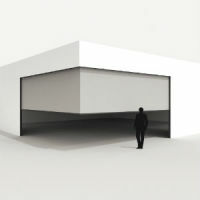 Minimalism has clearly taken over in contemporary architecture. RENSON is participating in this trend with its Panovista. 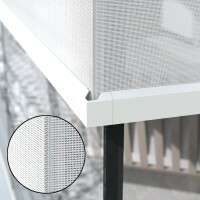 This new type of sun protection fabric is a unique sun protection solution for glass-on-glass corner windows, which regular screens just can’t handle. 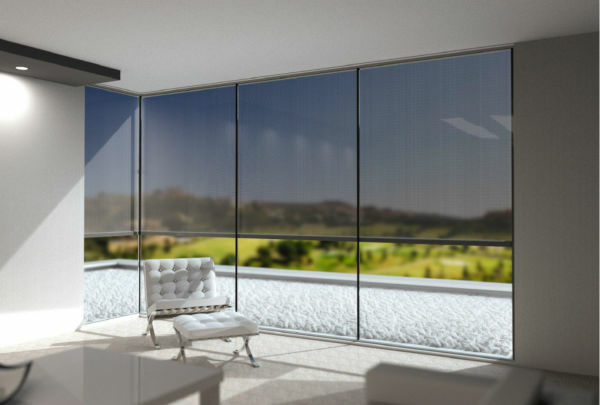 By blocking the rays of sunlight from the outside, you can perfectly control the light coming into the home. 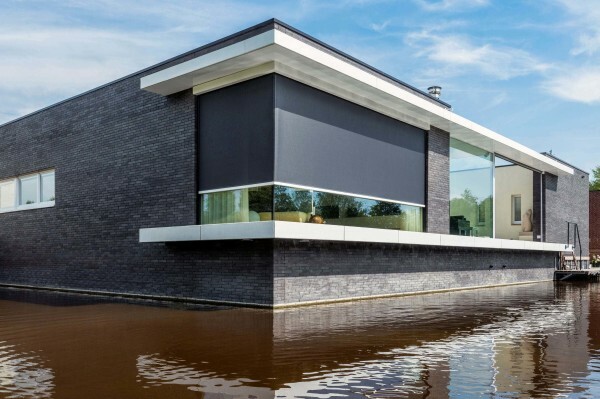 The Panovista protects the home from overheating and gets rid of annoying reflections or the risk of being temporarily blinded by the sunlight. 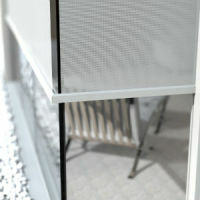 The Panovista is fitted with glass fibre fabrics that have a high sun protection factor. These fabrics are available in various colours. The Panovista has no visibly unpleasant aluminum profiles or cables in the corner, which means you don’t have to sacrifice your view. Patented technology ensures that both sides of the sun protection fabric can be simultaneously rolled up or down using a remote control. When designing the Panovista, a great deal of attention was paid to the aesthetics and smooth integration. The screen box and side guides can be hidden from sight in the outside wall, and the bottom bar disappears into the box once the screen is completely rolled up. Panovista can be used in both new-builds or renovation projects to provide elegant sun protection with ease. 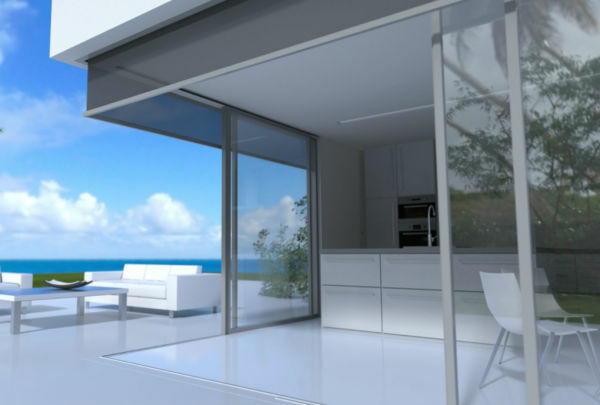 The Panovista is available in two different types depending on the window measurements. The standard Panovista is a maximum of 4 metres wide per side with a maximum height of 2.8 metres, which equals a maximum total surface area of 22.4 m². 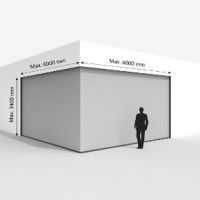 The Panovista Max has a maximum surface area of 30 m², with a maximum width of 6 metres per side and a maximum height of 3.4 metres.